DGFUMC provides a range of educational opportunities for children of all ages, including nursery care provided during worship hours, Pathfinders (Sunday School), and midweek family fellowship that is linked to children's choir rehearsals. The goal is to help children grow in faith, and become familiar with the Bible through a variety of methods, including storytelling and drama, music, video, games, science, cooking and art. 100% of your registration fee will support Feed My Starving Children. Registration forms are available using the link below. If you cannot participate, consider sponsoring someone for the contest. The mission event is planned and run by the 5th and 6th grade Sunday school class! The Children and Family Work Area would like to invite all families in our church and community to attend a special Easter Egg Hunt on Saturday, April 7. All children from infant through 6th grade are welcome to hunt for the hidden eggs inside the church. Gathering will be at 9:30 a.m. in the sanctuary. The hunt will begin right after the gathering. Following the hunt everyone is invited to the gym for some refreshments and fellowship. Children are invited to bring their own baskets to collect the eggs. 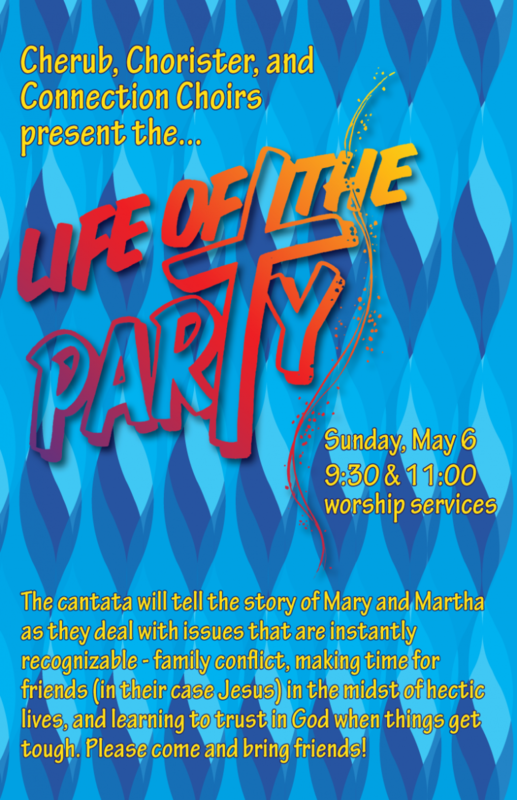 Feel free to invite a friend and come to First United Methodist Church for this special event! The First United Methodist Church of Downers Grove is offering a summer camp experience for children and youth from June 25 to 29, 2012. Camp offers children and youth the opportunity for fellowship with other children. It offers youth and adults an experience of God’s creation while exploring nature. It offers everyone a chance to experience Christian community and develop skills for Christian living. 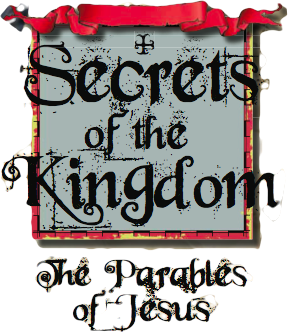 This year, the theme of the camp is The Secrets of the Kingdom. Jesus used stories, called parables, to teach his disciples—and us—about what it means to live in God’s kingdom. In Secrets of the Kingdom, campers look to the Master Storyteller, Jesus, to discover four different parables and their meanings for our lives. Camp will be held at Wesley Woods Conference Center in Williams Bay, Wisconsin. Wesley Woods is owned and operated by the Northern Illinois Conference. Enclosed in the bulletin this Sunday morning is an offering envelope for the United Voices for Children - Fifth Sunday Appeal. UVC is a coalition of groups and individuals within the Northern Illinois Conference of the United Methodist Church. Your gift will help with the work of ChildServ, United Methodist Youth Services, Marcy-Newberry Association and Rosecrance Health Network. For more advocacy information, check out the web site at: http://www.umvoices4kids.org. The second Super Saturday will be a Movie Night! We will be watching Horton Hears a Who! Children are encouraged to wear pajamas and bring a pillow and blanket. Popcorn will be provided from the Tivoli. This is for all children in 1st-6th grade. Just like with Wacky Wednesday there is no cost and EVERYONE is welcome. All children need to be signed-in and signed-out from Super Saturday events. Please invite friends from school, neighbors, family, friends, and anyone else you can think of! Super Saturdays - Movie Night! Did you have fun at Wacky Wednesdays over the summer? If you did, then you will love Super Saturdays during the school year! The Children and Family Work Area has planned five Super Saturdays! The second one will be Saturday, January 21st from 6:30-8:30. This is for all children in 1st-6th grade. Just like with Wacky Wednesday there is no cost and EVERYONE is welcome. 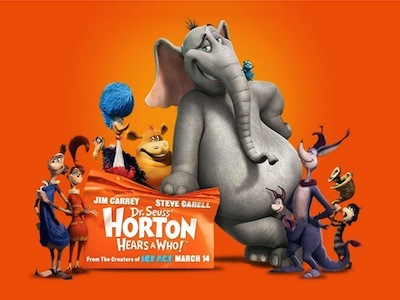 The program for Jan. 21st will be a Movie Night, we will be watching Horton Hears a Who! Children are encouraged to wear pajamas and bring a pillow and blanket. Popcorn will be provided from the Tivoli. All children need to be signed-in and signed-out from Super Saturday events. Please invite friends from school, neighbors, family, friends, and anyone else you can think of! Read more about Super Saturdays - Movie Night! Will be beginning again January 11th, 2012. Meetings and practices will be held at their regular times. See the Family Fellowship page for more details. The new year brings a new meal subscription for the Wednesday evening meals at church. You can download the form for the meals below. Please fill it out and return to the church office by or on Sunday, January 8. Children and Family Ministries has reserved 90 places on Saturday, December 17 from 2:00PM to 4:00PM at Feed My Starving Children, in Aurora, IL. For those of you not familiar with FMSC, they are a non-profit organization whose mission is: "Feeding God's Starving Children Hungry in Body and Spirit." It is a very fulfilling and rewarding experience to give the gift of your time to this organization and help feed thousands of children. We will be helping to create nutritional food packets which will be shipped to areas in need around the world. Minimum age to volunteer is 5 years old. Childcare will be provided at the church. Transportation will not be provided but carpooling is encouraged. Please contact Sharon in the Church office (630.968.7120) to register for this meaningful service opportunity. Space will fill up fast!